A signed, limited edition digital print (100 in total) taken from an orginal artwork in acrylic. 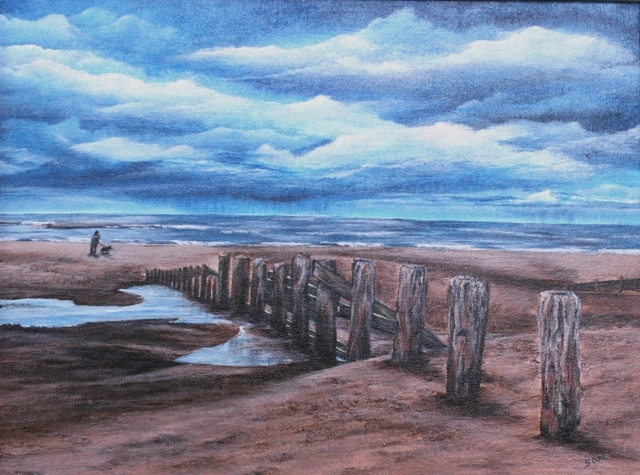 Showing the beach in Spittal, Northumberland, as the old groynes stretch out into the cold waters of the North Sea. A man walks his dog along the wet sands as a rain storm is visible out to sea.